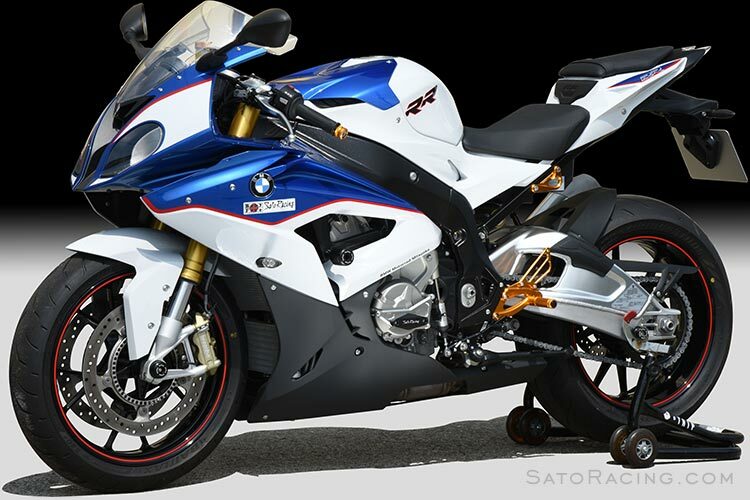 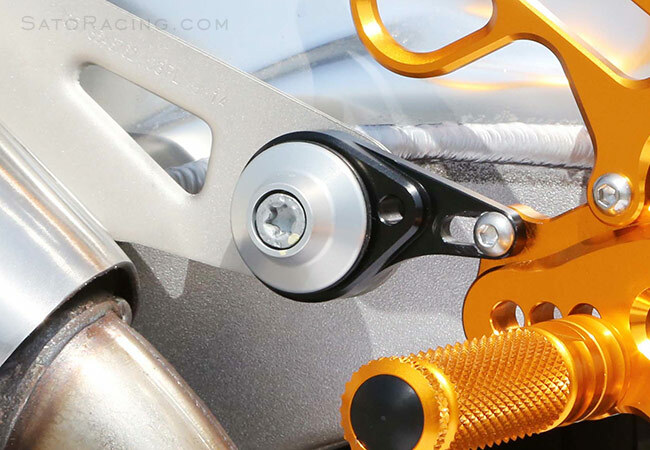 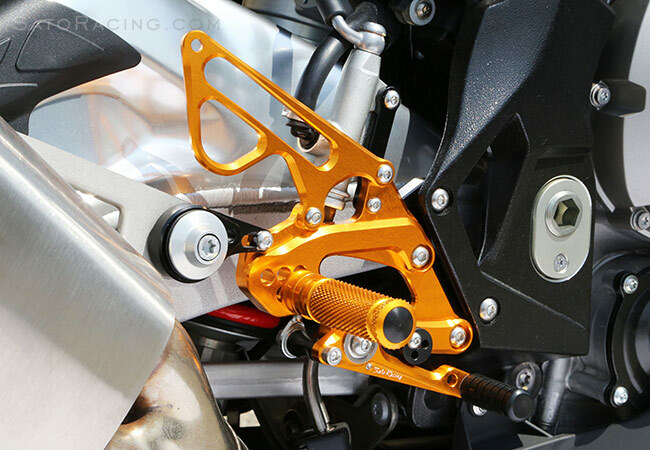 SATO RACING Rear Sets for 2015-16 BMW S1000RR are a track-engineered design, CNC-machined from high trength billet aluminum with either all Black anodized finish, or Silver or Gold anodized finish with contrasting Black base plates and shift pedal. 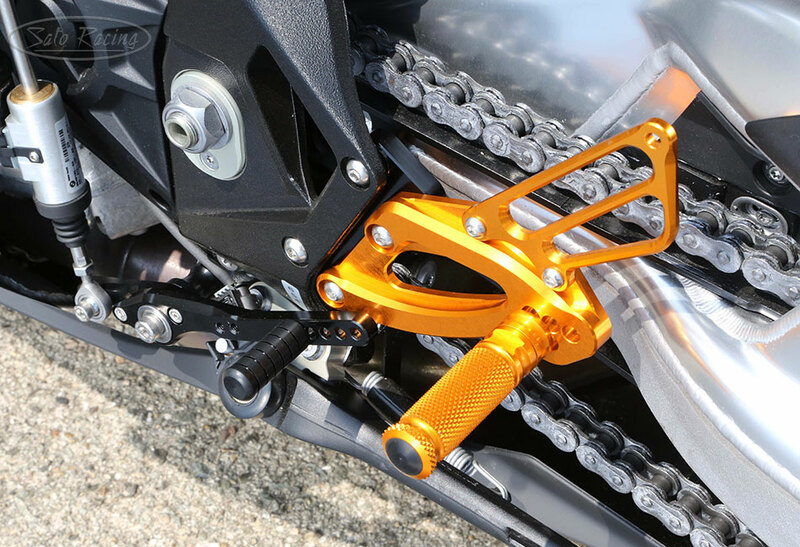 Adjustable base plates and foot pegs give you a choice of 15 unique positions, ranging from near-stock position to more aggressive positions that plant your feet higher up and further back. 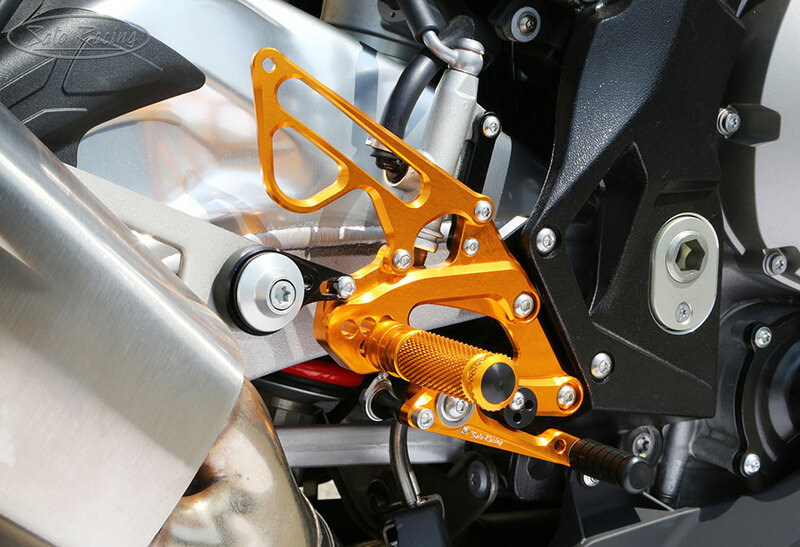 You can easily switch from stock to reverse (GP-style) shift pattern. 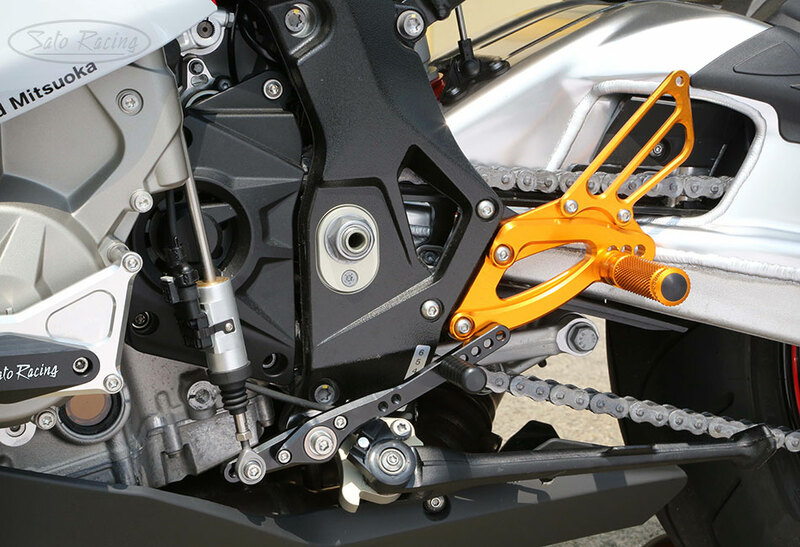 can find the ideal position for your riding style. 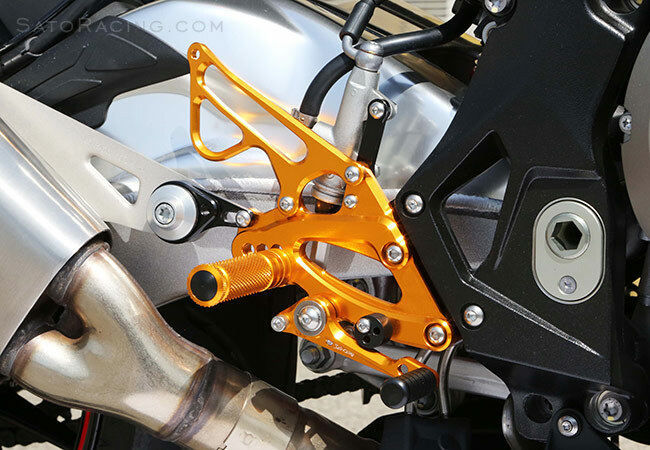 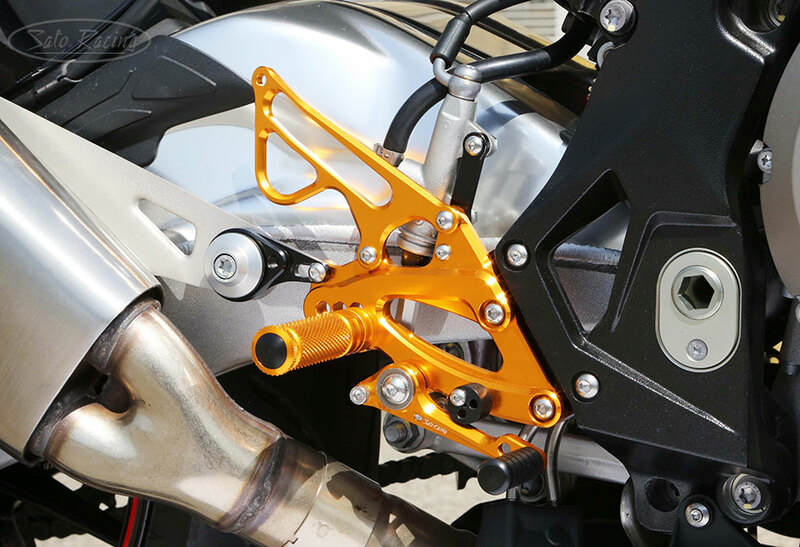 Exhaust Hanger Bracket (sold separately) works well with our S1000RR Rear Sets. 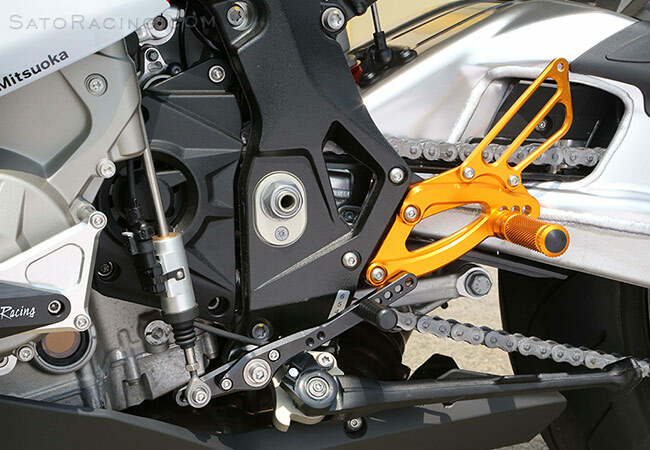 by relocating the shift rod to the opposite end of the pedal. 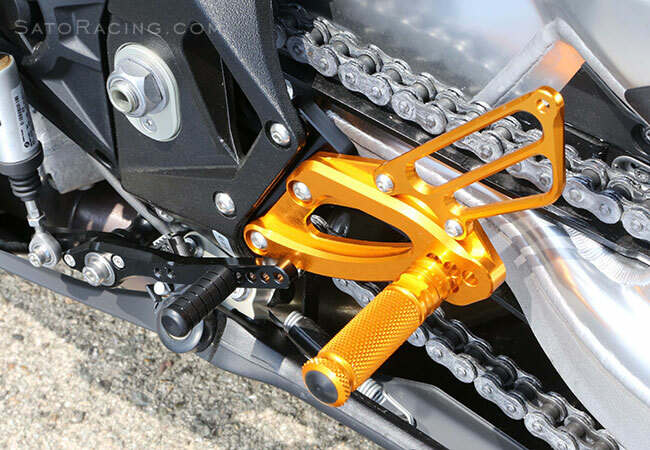 The Foot Pegs feature a finely knurled pattern for excellent grip and feel. 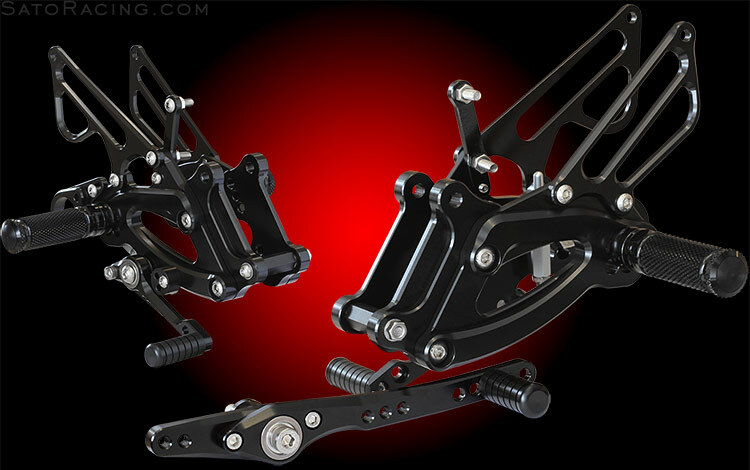 The Pedal Tip can be attached at any of 5 different positions on the shift pedal.